SPRINGFIELD — A state senator wants to give all Illinois high school students the opportunity to walk across the graduation stage with an associate degree to complement their diploma. 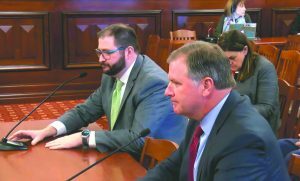 Senate Minority Leader Bill Brady, a Bloomington Republican, told the Senate Education Committee this week he is still fine-tuning the proposal, Senate Bill 2046, but the general premise is to quicken the pace at which young adults can enter the workforce. “What some states have done, is they have offered or mandated high schools to provide an equivalent that would give people three choices: traditional education, or leave high school with an associate degree with either a path to a vocation or a path to a baccalaureate degree where they would be able to enter college as a junior,” Brady told Capitol News Illinois on Thursday. As it stands now, Brady’s bill would require high schools to prove there is a path for students to achieve an associate degree by the time they leave high school, but there are no penalties written into the bill for districts that don’t offer such courses. 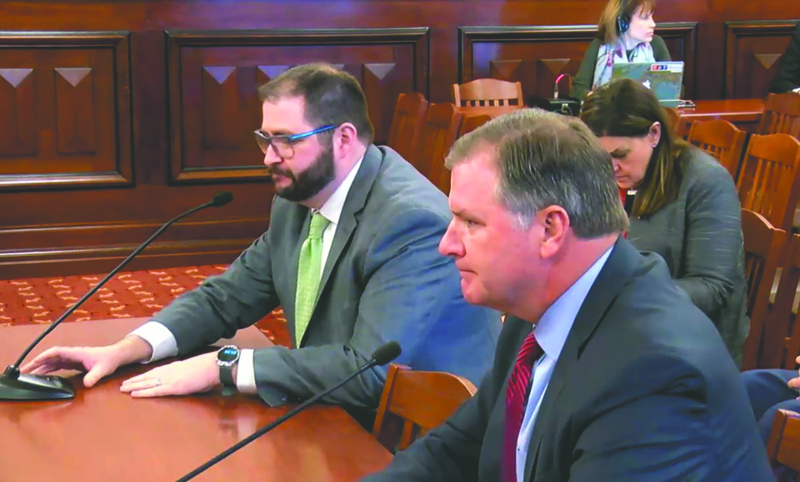 Zach Messersmith, representing school boards and administrators through the Illinois Statewide School Management Alliance, testified Wednesday as an opponent to the bill as written, but said he discussed it with Brady and planned to work out some disagreements in the legislation. Brady said he is open to negotiation as well, and he was “less than thrilled” with the initial draft of the bill. The bill makes schools responsible for all costs under the program, exempting students from paying tuition, registration and fees for the dual-credit programs. The bill would not appropriate any state funding for the implementation of the program. Other states such as North Carolina, Tennessee, Colorado, Florida, Connecticut, California, Michigan, Minnesota and Indiana have similar programs. Brady said he has filed this bill in previous legislative sessions, and he cited a report from the nonprofit Education Commission of the States as an impetus. Those factors include diminishing percentages of high school graduates enrolling immediately in postsecondary education, traditionally underserved students comprising a growing proportion of the overall U.S. school population, and projections that more occupations in the future will need education beyond high school. Early college high schools, as the report called them, are one of the suggested solutions. The bill passed the education committee with Brady promising to bring it back for an amendment upon further discussion with school management groups. If it passes this session, districts would be required to provide the equivalent of one year toward an associate degree within one year of the effective date of the legislation. In the following year, the district would be required to provide the second year toward an associate degree.